Tag Archive | "how to make"
and why would you put them on your Candelabra? These are the perfect last minute Halloween Decoration!! see below the picture to find out what they are…. 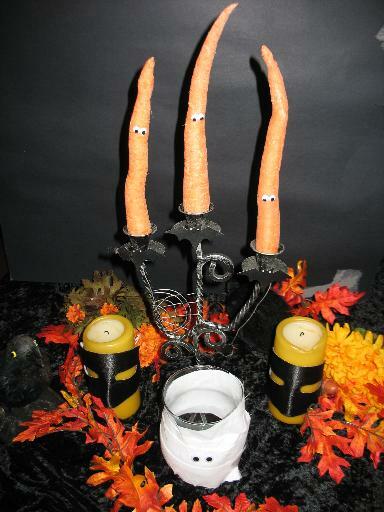 Put full size carrots upside down in black candlestick holders to look like candles. Add googly eyes for a scary, yet very funny decoration. Halloween Pumpkins don’t all have to be scary! it’s an actual sculpture, not real pumpkin but it gave me an idea…. 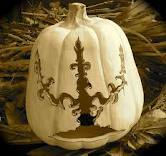 You could just paint or glue your Candelabra silhouette onto the pumpkin! 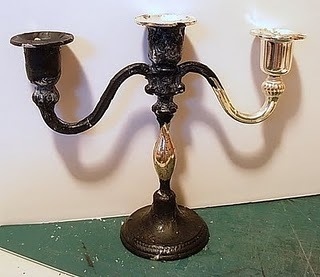 Do you want a Vintage Black Candelabra that’s not ugly and plastic? Tear up the tissue paper into little strips and glue it onto the Candelabra ! 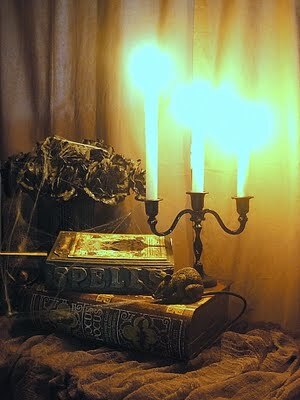 Oh, and then add some black candles and cobwebs! click here to see her full instructions and pictures. Here’s what the Candelabra looks like half complete…. The technique creates a great Halloween effect don’t you think? Feel free to Comment and share your ideas below. 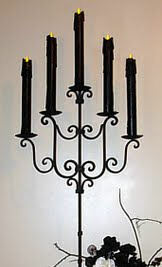 It’ll be Halloween soon – the perfect excuse to dress up and feature your Candelabra! 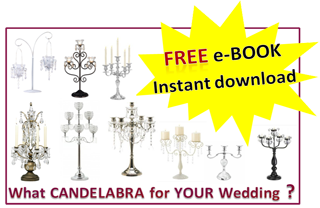 or any other type of candelabra too for that matter ! 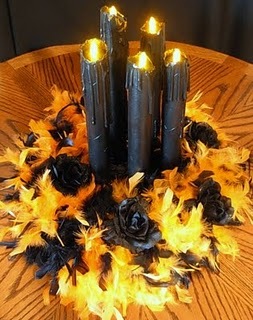 You’ll be making some black Halloween pillar candles to put on your Candelabra. they look very dramatic with a feather boa wreath. 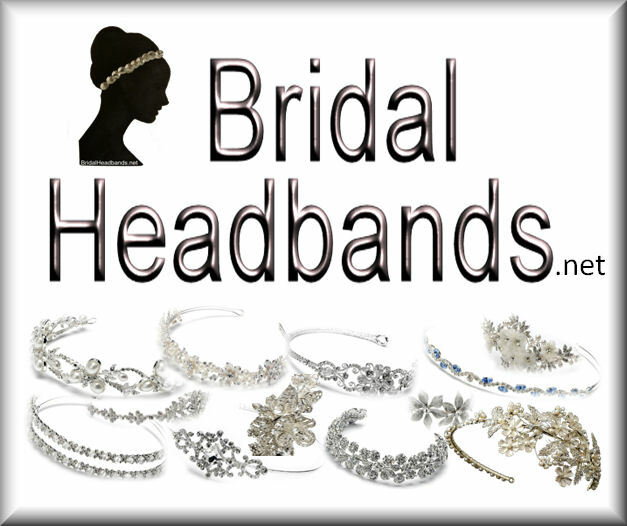 – she also has other Halloween projects on her site.